The articles page is a special template that is assigned from the Menu Navigation Tree. 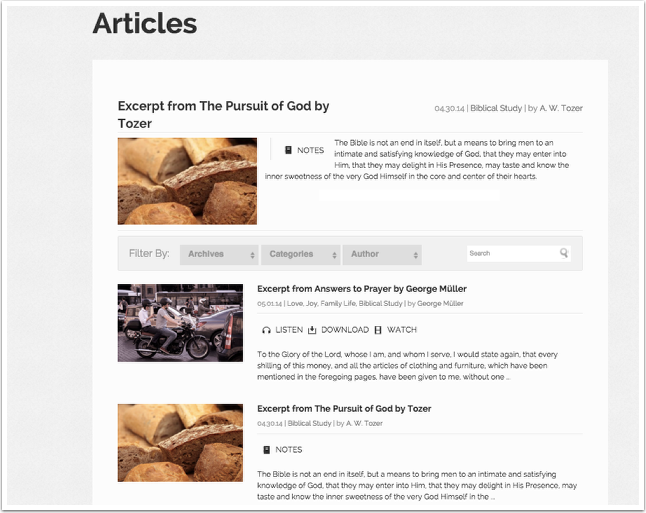 To use an article, create a new navigation item (CONTENT > PAGES > NAVIGATION > ADD NEW ITEM), under Content, click "View All" and select the "ALL ARTICLES"
The most recent FEATURED article will be displayed at the top of your Articles main page. Publish as Featured to have an article show up here.